Sometimes there's no New Name corresponding to an Original File. Is this because I have a bug in my format? Is there a log I can look at to see what's happening with these? file types and format ? Extras are tricky. Expect them to be ignored by default. Okay. I still think FileBot can help me get a lot of them moved and renamed. Alas, this one is a movie, strange things happen when I use the tv db. Interesting that some of the extras match and some don't. Is this because some got lucky and some didn't with the loose matching? Is there any binding that indicates how exact or loose a match was? On the ones that were ignored, I wanted a way to apply my format expression to the original name. I shift-clicked on the db and did manual entry of the movie name. That worked (in this case, maybe not all?) to get those unmatched extras moved. Pretty much. 1 or 2 specials is easy, but if there's many specials, with naming diverging from what's in the database, then chances of things working out go down. 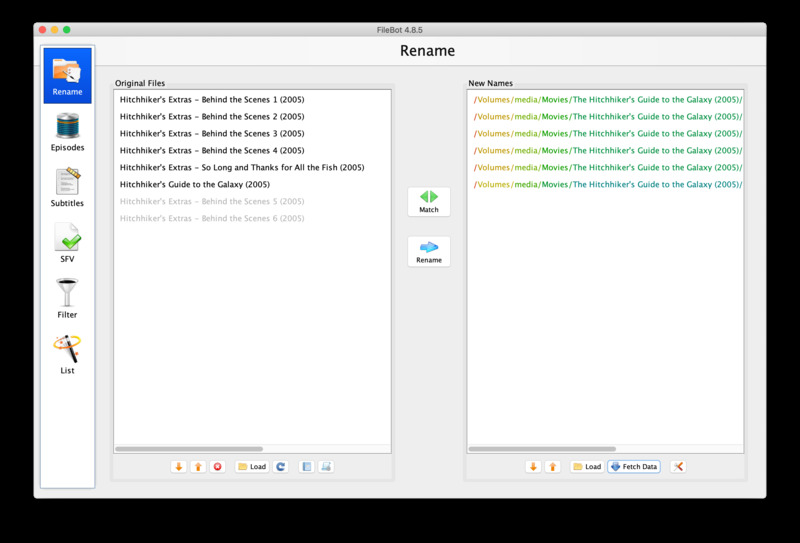 You can post file names and test cases, maybe there's a way to improve things. Maybe not though. EDIT: That's for TV specials. Movie extras are not supported at all. Loose matches typically are highlighted in red. This can be useful to pre-process files to make auto-detection work better. If you have movies, then extras aren't supported at all. But each extra, if not ignored, will liked be matched to the movie, as if it's a multi-part movie. 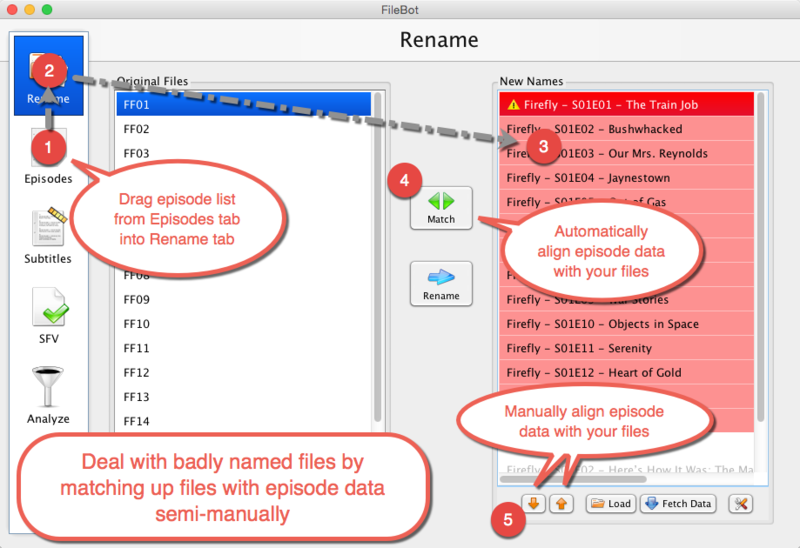 With some format trickery, you could process extras even though internally filebot will have miss-identified the file (correct movie, but incorrect CD part, which we just ignore in our format).